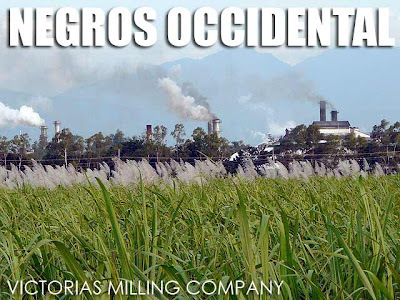 Negros Occidental is one province I haven't really explored. Except that trip to Mambucal when I was still a kid, and a more recent visit to Silay City some years back, I've only really been to Bacolod City. So I decided to explore Negros Occidental before our family reunion in Bacolod. Since I only had a few hours after the welcome breakfast prepared by our relatives, I decided to rent a car to speed up things. We drove down south as far as Himamaylan and made our way north to look for some interesting stuff. Along the National Highway was this continuous stream of sugar cane trucks. 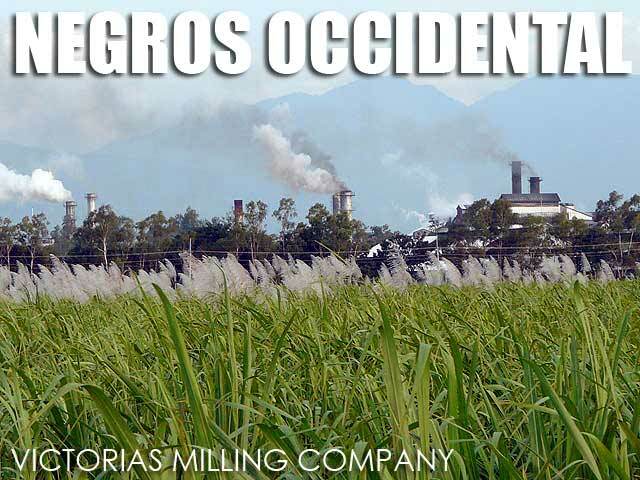 Negros is one big sugar plantation and all you see on both sides of the road is sugar cane. 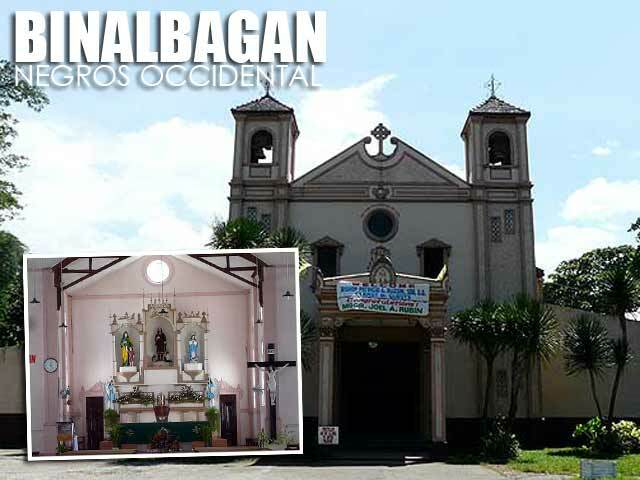 The first old church we passed by was Binalbagan Church built in 1937. Except for the retablo, most of the church has been renovated. And it was such a hassle to get to it no thanks to a presidential visit. I was shocked that they stopped traffic on the National Highway just to let her convoy pass. So we had to make a lot of detours. In fact, she arrived in town exactly when I was standing in front of the church. Anyway, from Binalbagan, we went to the next town which is Hinigaran. 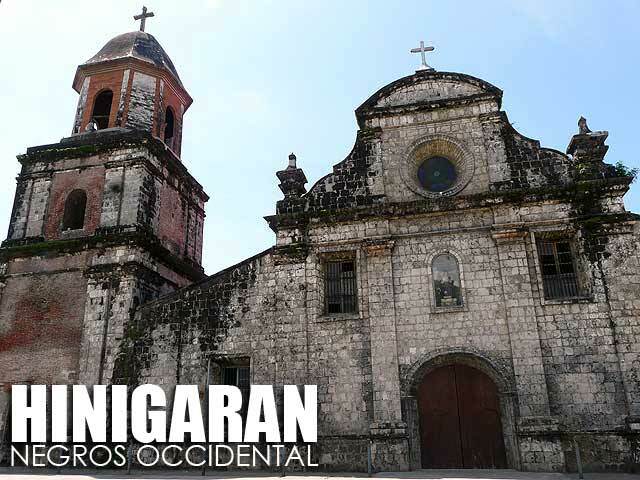 The Hinigaran Church, completed in 1858, is one of the best-preserved Spanish colonial churches in Negros Occidental. I was quite impressed with its well-preserved exterior. But inside was a different story. While most of the interior was intact, I was surprised that they were doing some renovations, trying to mimic some European church since they had a large tarpaulin of a church interior they were trying to imitate. These priests really need to realize that our churches are not European! They are Philippine Baroque to be exact, a folksy style only found in the Philippines. Let's keep our churches Filipino please! 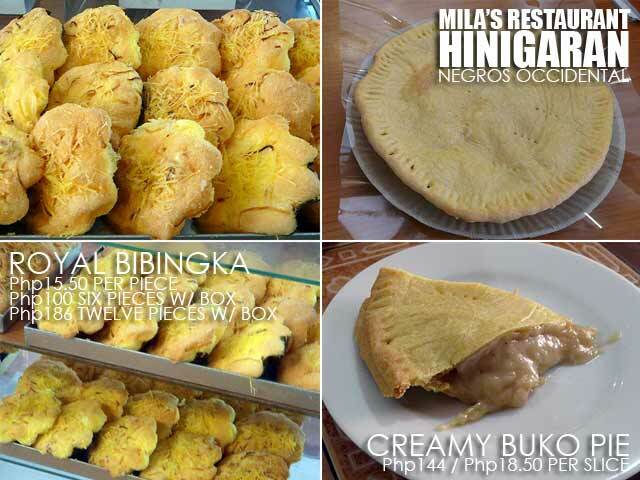 Hinigaran is a favorite stop as well thanks to Mila's royal bibingka which you could buy from Mila's Restaurant along the National Highway. Another favorite is the creamy buko pie which is quite different from the ones in Laguna and the rest of the Southern Tagalog since they really put in a lot of cream. While we were having lunch at Mila's Restaurant, the presidential convoy passed by again. And there she was in a coaster with windows open, waving to everyone like a queen. From there, we proceeded to Valladolid. 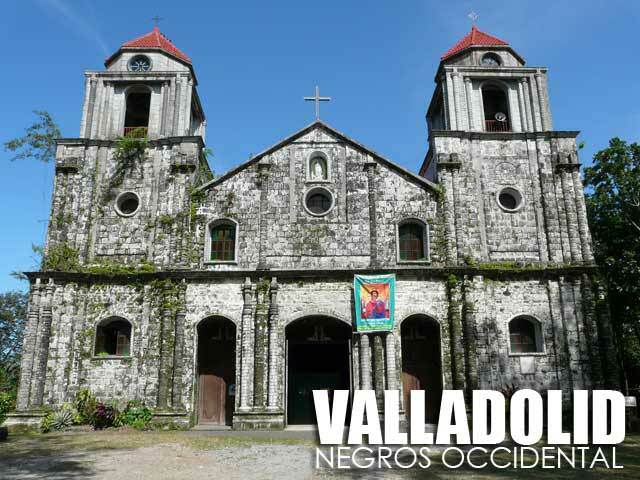 The Valladolid Church is also of Spanish colonial vintage. It was twin bell towers. But just like many of our heritage churches, the interior has been modernized. 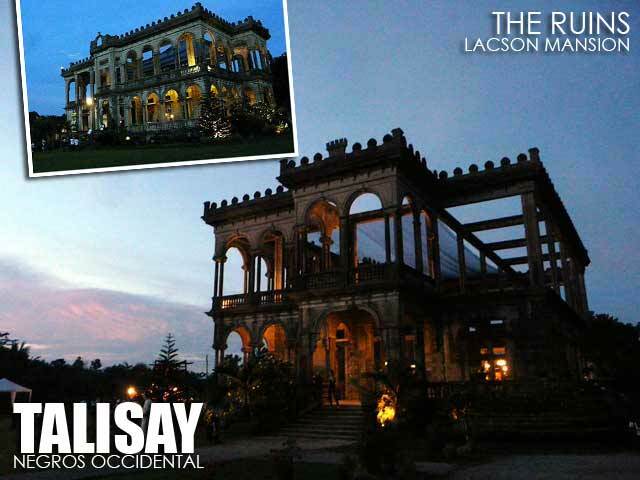 Bago City still has a few of its grand old mansions. 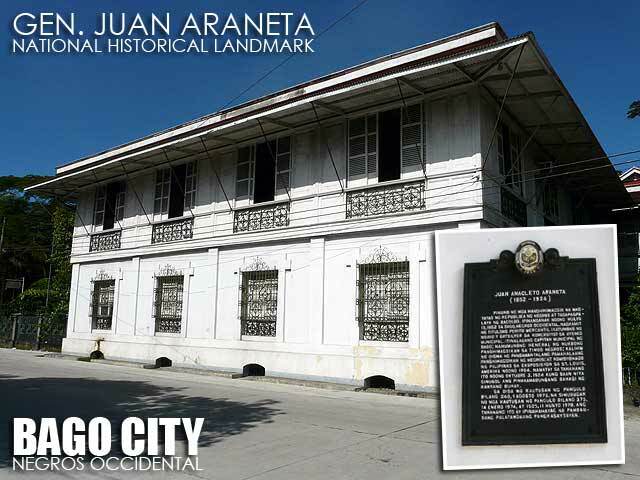 One of those homes is the Gen. Juan Anacleto Araneta Mansion which is a National Historical Landmark. The grand ancestral house is now home to the local museum. 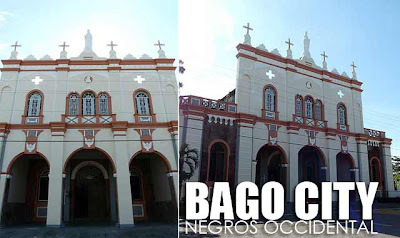 The Bago Church has a very unusual Neo-Gothic facade, built by the Augustinian Recollects in 1891. But again, the interiors have been modernized. 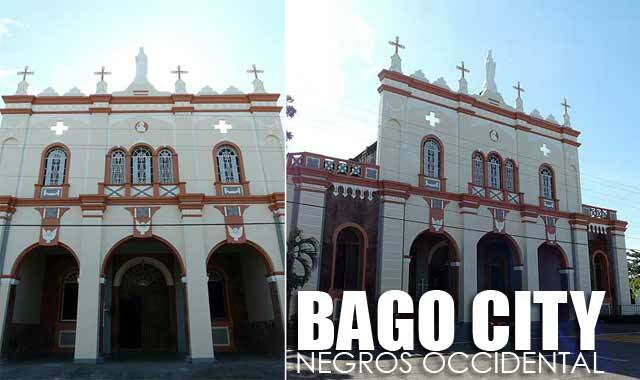 The city plaza was the site of the historic proclamation of the Republica de Negros on November 5, 1898. This event is commemorated annually with the Al Cinco de Noviembre. From Bago, we crossed Bacolod to get to Talisay City. There are two houses worth visiting there. One is the Lizares Mansion or the Balay ni Tana Dicang which is now a beautiful period museum and art gallery. 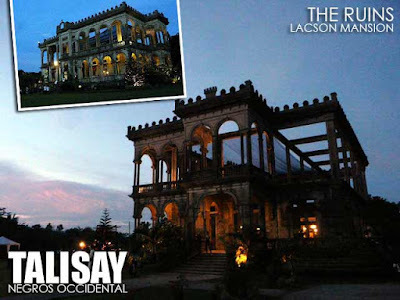 The other is the ruins of the grand mansion of Don Mariano Ledesma Lacson which is simply known as The Ruins. They have a restaurant there as well so if you like to have lunch or dinner amidst its old walls, that would be a great option. It's actually hard to get to and the roads are a bit bad. But see what proper conservation and marketing can do to promote the shell of an old house? Anyway, since it was getting dark, I skipped Silay as well. Besides, you need a full day to explore this wonderful heritage city. And I've done it before. I'll try to visit Silay again when I get back. Our last stop for the day was the Chapel of the Angry Christ inside the compound of the Victorias Milling Corporation. Did you know that the UP Chapel was originally designed for the Ossorio family? But I guess it doesn't matter now since the current chapel is itself a work of art. The central figure of the vibrant altar murals is an image of Christ with a burning heart, standing on skulls and a serpent. It's that image from which the chapel gets its moniker since the church is actually dedicated to St. Joseph the Worker. 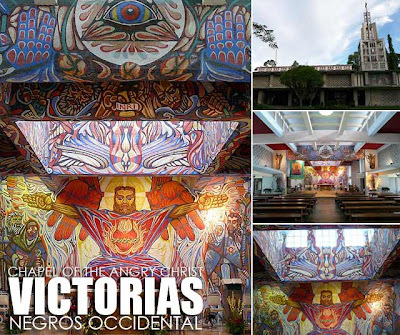 These murals were painted by Alfonso Ossorio. Around the church are mosaics that were made using broken soda bottles. 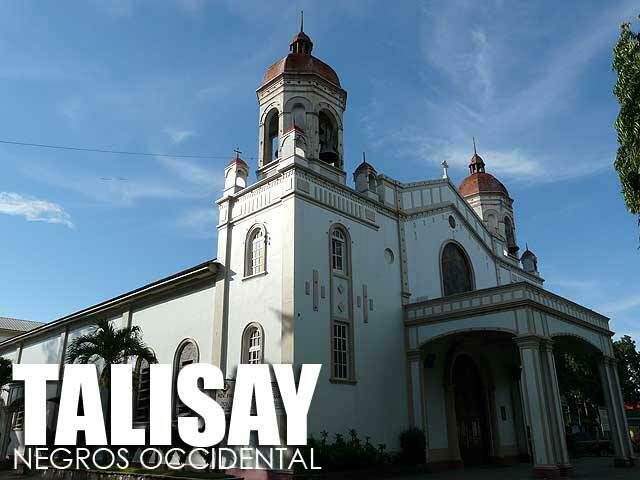 I rushed back to Talisay City to attend an event at Balay ni Tana Dicang. But I decided to take that photo of The Ruins before it got really dark. La Union: Surf, yoga and samba in La Union!